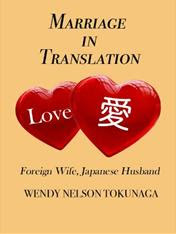 The cover art for LOVE IN TRANSLATION is here and I couldn't be more pleased. The book comes out on November 24, 2009. Yay! Very intriguing - the blonde with the traditional Japanese look from what I can tell from my limited knowledge of Japanese culture. Congratulations on the progress on the book and for dropping by my blog. This sounds like a great work,and I look forward to checking out your previous work. Thanks, Junk Thief! I just loved what you said about enjoying J-Pop, but not being able to get into Miley. J-pop has that certain je ne sais quois!